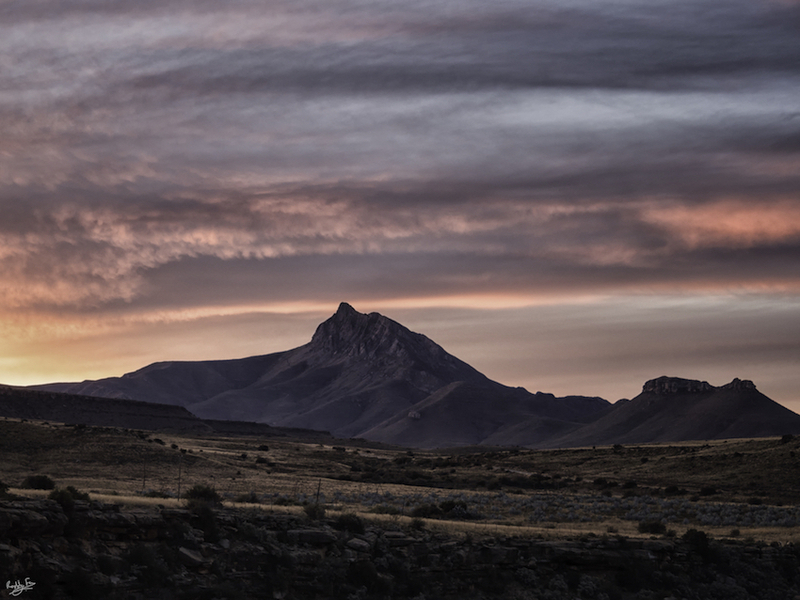 Two or three times a year we make the journey west from Grahamstown and into the Karoo – often staying somewhere around Compassberg which at 2504 metres is the highest peak in the Sneeuberg and Karoo. Kate has been working in the area for many years and I’ve gone along too. Sometimes that’s involved some academic work but more often I take my camera out and about. 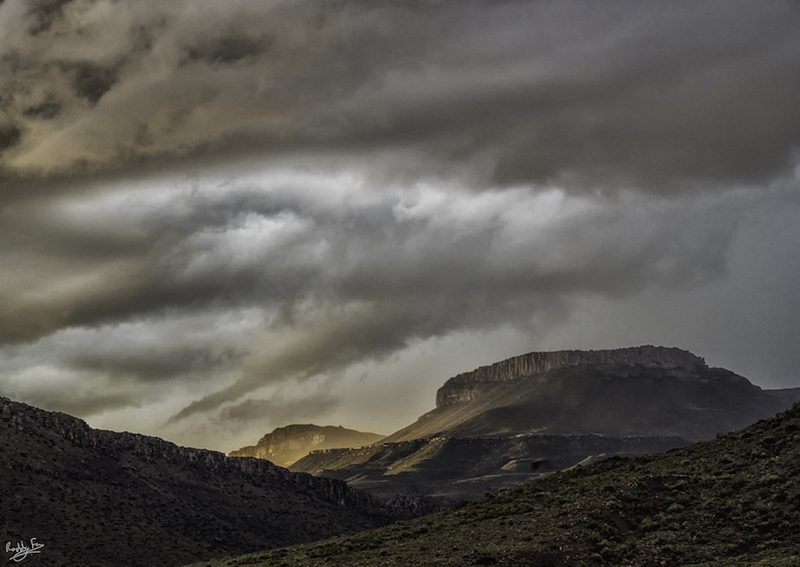 For me as a photographer the Karoo is really grainy: there’s gravel roads, flatlands, thorn scrub on rock outcrops, flat sedimentary ledges in front of rugged mountains, dolerite columns and twisting sandy rivers. All of this under a huge sky with dramatic light – especially when there’s rain (and snow) about. 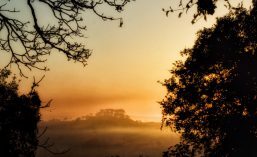 This slideshow features some of my favourite themes, sunsets, storms and night skies. 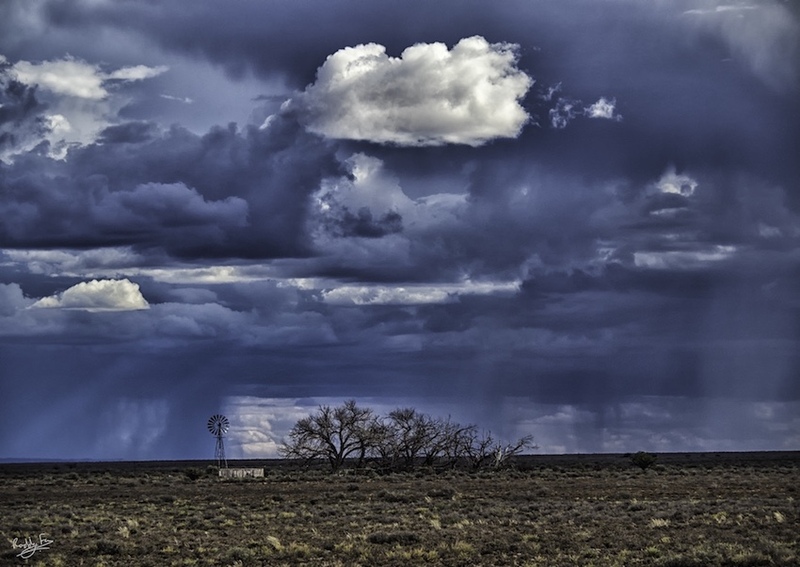 There’s a picture of an iconic Karoo wind pump under a stormy sky. 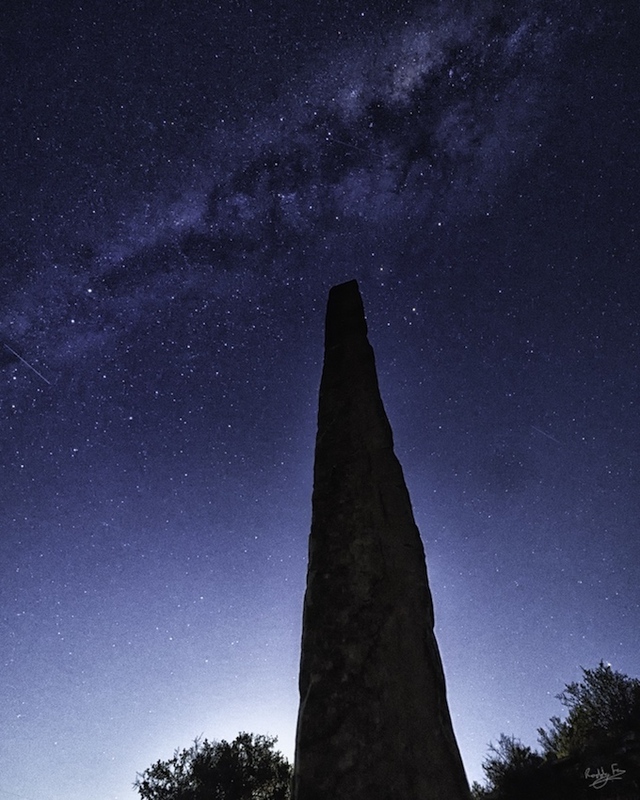 The Obelisk below the Milky Way is at Ganora Guest Farm (it marks the sharp turnoff to their self catering cottage). 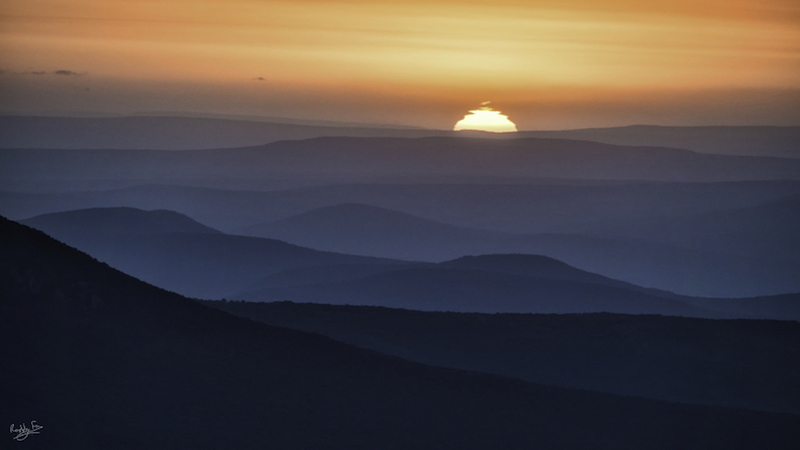 The Karoo Sunset was actually taken from Hogsback, which isn’t in the Karoo, but I was looking due west at the sun setting beyond range after range of Karoo hills. 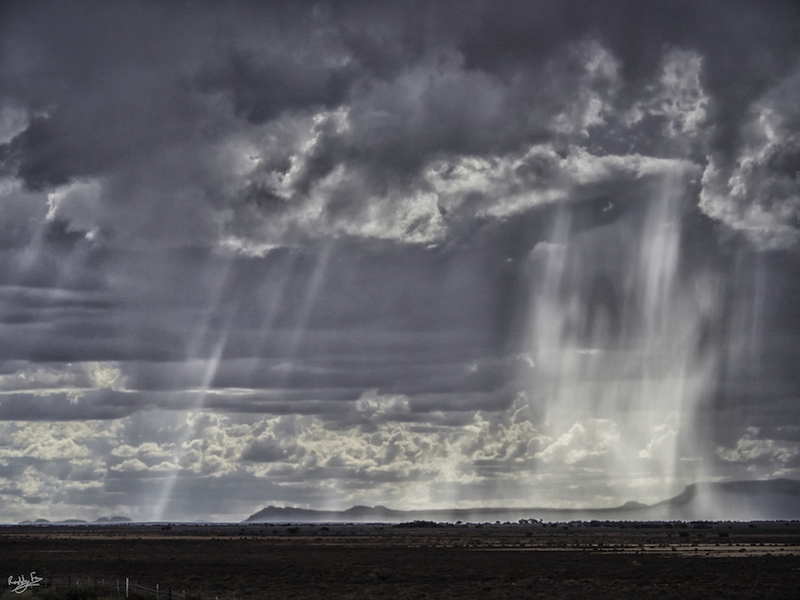 The two Passing Storm pictures were taken approaching (and from within) the Karoo National Park one dramatic afternoon. The last two pictures are of sunsets at Compassberg and the Sneeuberg north of Nieu Bethesda. I’ve put The Karoo Windpump and The Road to Compassberg in my online store where you can also find plenty of other landscape pictures and my latest exhibition – Metamorphosis. 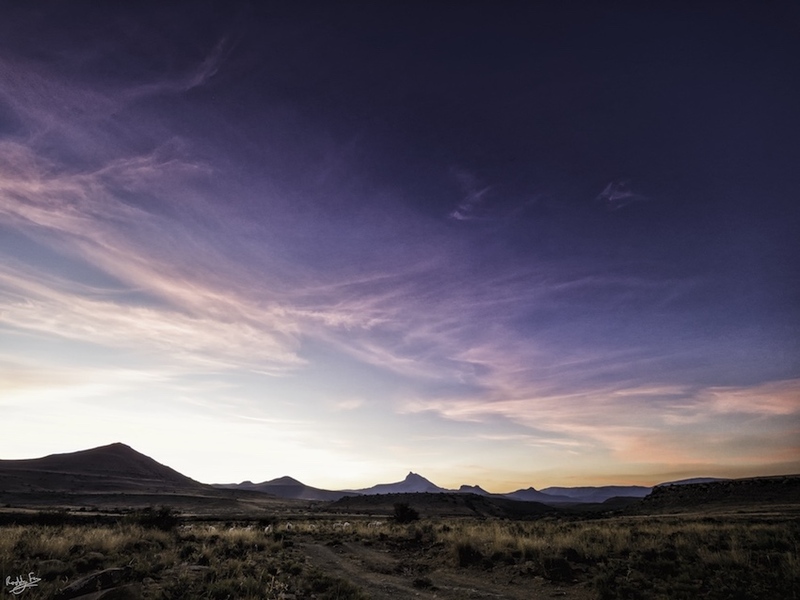 This entry was posted in Karoo, Kompassberg and tagged astrophotography, Compassberg, Eastern Cape, Ganora farm, Karoo, Karoo National Park, Landscape photography, Light, Nieu Bethesda, Night photography, Olympus OMD EM1 II, Sneeuberg, sunset photography. Bookmark the permalink.